The island of Sardinia is for pure adventurers and the varied landscape is ripe for exploration. From the beaches to the mountains, through forests and hilltop villages, Sardinia is not just a beach paradise but an open playground for multi-sport, active holidays. Scantily populated with breathtaking views all around, you are uninhibited to explore. Spend a week exploring the wild landscapes of the island: from the historical west coast of Oristano to the sunbathed southern beaches of Pula. Starting in Medieval villages such as Santu Lussurgiu, Bosa and Cuglieri down to Oristano, rich in antiquity. 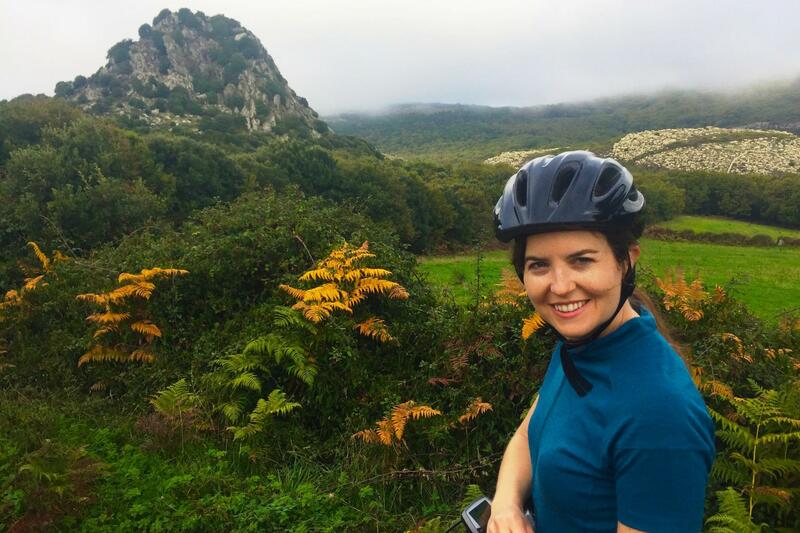 While a winding coastal ride is ideal for a cyclist - offering unforgettable Mediterranean views and a powerful adrenaline rush, the real highlights are the actual rock formations and the unique prehistoric stone fortresses found in the mountainous Sardinian interior. The island is home to more than 7,000 stone towers called "Nuraghi," Bronze Age castle precursors built between 1600 and 1100 B.C. Visit the most famous and complete Nuragic tower and village called - Su Nuraxi in Barumini, awarded UNESCO World Heritage status. The mountains are rich with old mines and rough trails to be discovered through thick green Mediterranean vegetation and cork oak forests. Discover the lesser islands' seafaring and fishing culture in Carloforte while enjoying the unique tasting traditional dishes. 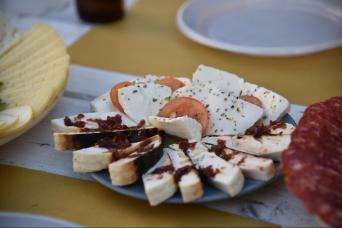 Sardinian cuisine is also a mélange of cultures and traditions. Recipes are based either on lamb, pork, wild boar or seafood specialties and are prepared in diverse Mediterranean styles based upon regional traditions. 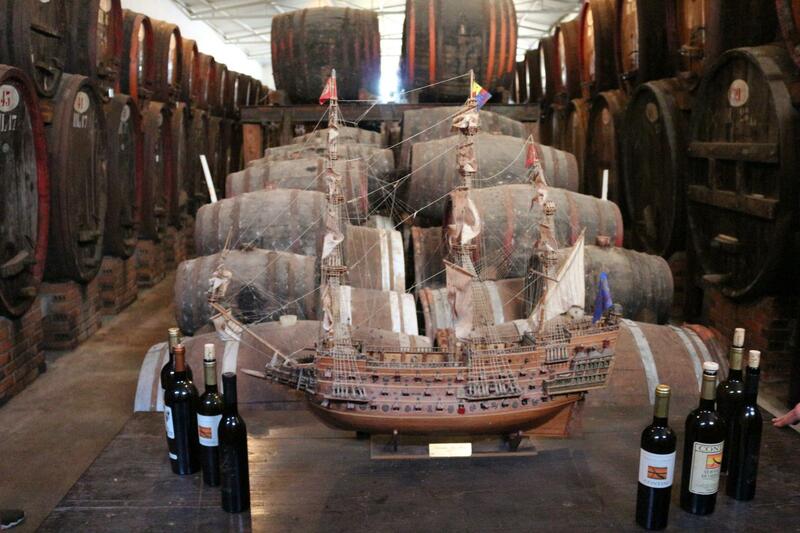 A wide variety of cheeses, olive oils and good wines are also made in Sardinia, especially sweet wines. 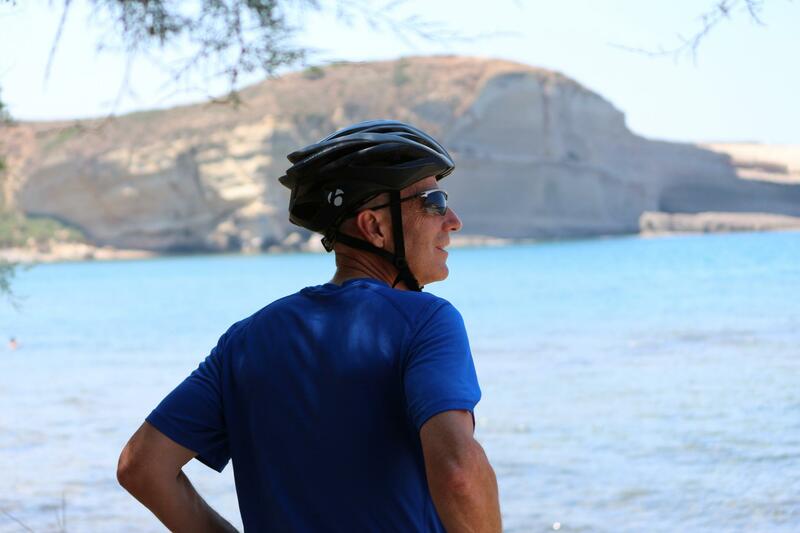 Start your tour with a private transfer from Cagliari Airport to your first accommodation, followed by a 'meet and greet' and bike fitting in Santu Lussurgiu. Test out your bike on a ride towards Bonarcado and see the Montiferru Canyon before returning for a tour briefing. 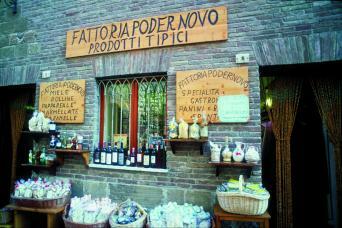 Then treat your palate to a traditional dinner at local Agriturismo, S’Olostrighe. You'll love exploring the ancient stone buildings of Santu Lussurgiu, which are constructed in a semicircle amphitheater configuration, and meandering along the winding and narrow cobbled lanes of this Sardinian hilltop town. Today you'll visit some of the most famous medieval villages in the province of Oristano on this route through picturesque cork oak forests and the fresh water springs of San Leonardo. 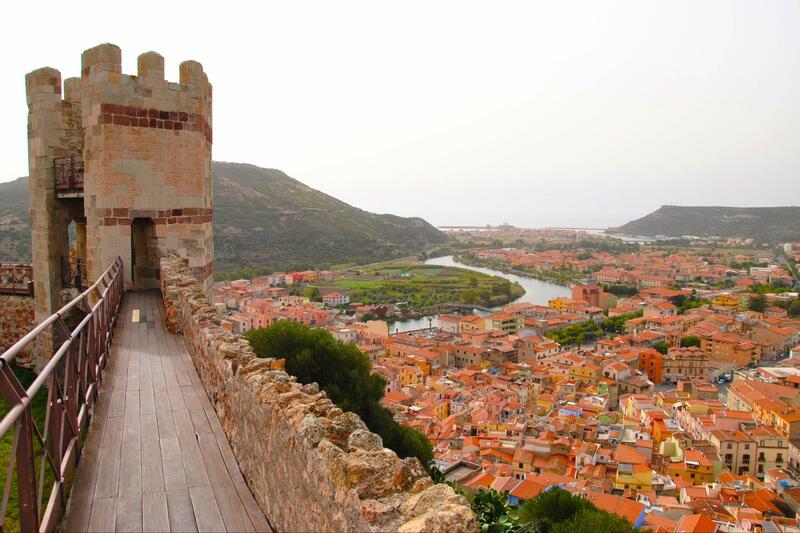 One highlight view along the ride is the striking Castle Malaspina, which you'll see peeking through colorful fishermen houses on the seaport and beach of Bosa. 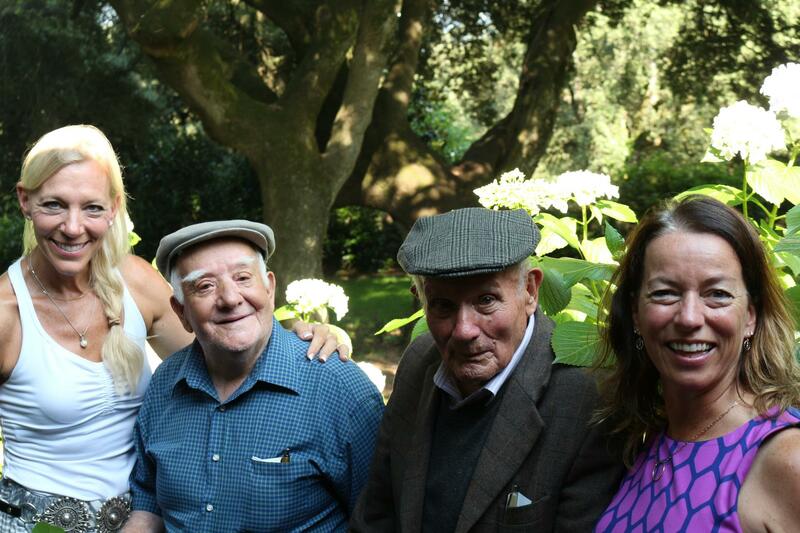 Next you'll stop in Cuglieri for a local organic olive oil tasting. Don’t forget to take in the magnificent views of the Mediterranean Sea along the way on this ride! 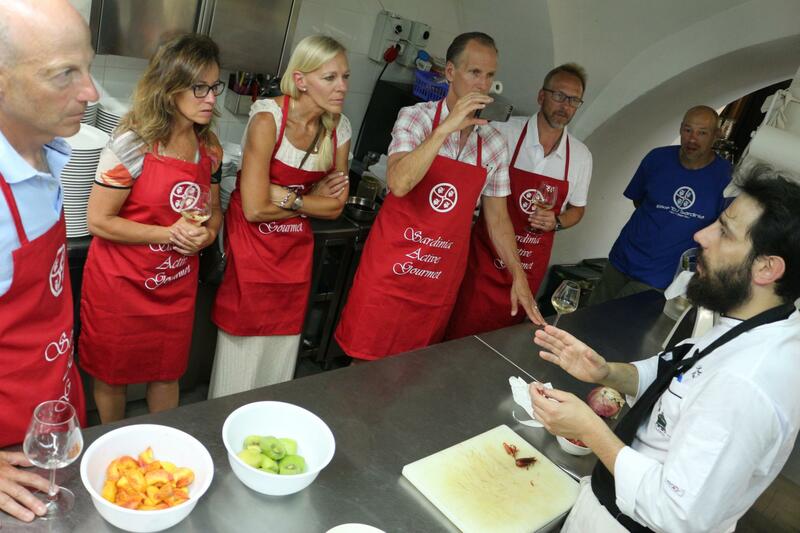 This afternoon, you'll get hands on with a cooking lesson before moving on to dinner at Hotel Antica Dimora del Gruccione. This loop bike ride to Bosa via San Leonardo and back via Cuglieri has rolling hills and some climbs. Distance: 90 km / 56 mi or 53 Km / 32 mi with partial transfer by van. Starting from Santu Lussurgiu, high up in the Montiferru mountain range (which is actually an extinct volcano,) you will hike down the mountain through dense cork oak forests and rugged terrain. You'll experience Sardinia by smell with the scent of mountain fruits and flowers like the Phoenician Juniper as you descend towards the coast to the summer resort village of Santa Caterina di Pittinuri. Enjoy a delicious olive oil tasting before a transfer to the Sinis Peninsula for an afternoon hike and a visit to Tharros, an open air museum in the Gulf of Oristano. Hotel in historical and monumental building, dating back to the second half of the nineteenth century, through the work of the famous architect Gaetano Cima Cagliari, at the behest of the then mayor of Oristano Giuseppe Corrias. The building was completed in 1874, while frescoes and interior decorations were finished in 1880 at the hands of John and David Dancardi Dechiffer. The structure is considered one of the greatest expressions Sardinian building of the nineteenth century. Each of the seven rooms, furnished with original furniture of the house, communicate different emotions and feelings. The beauty and the soul of the rooms accompanying the guest and offers the opportunity of a memorable stay for both the spirit and the body. 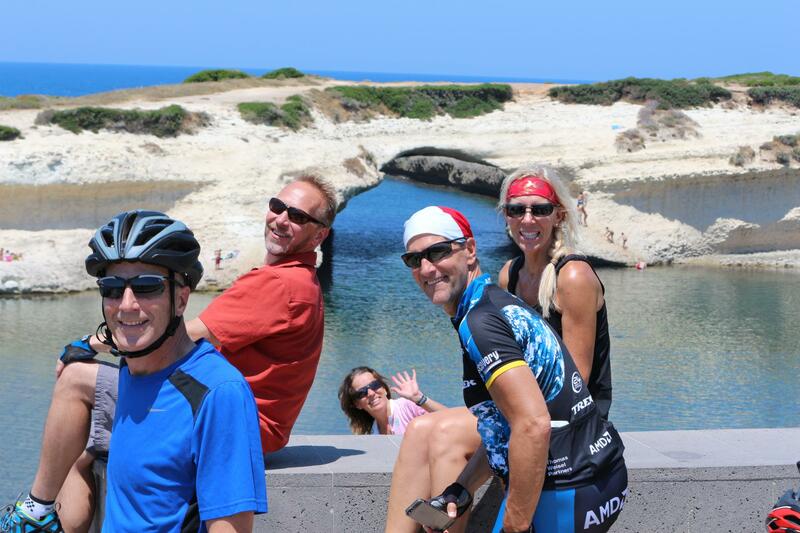 Today, starting in Oristano, you will ride inland through small villages. The route gets hilly as you move inland so be sure to eat a good breakfast before you start! As you pass through small towns, you will see prehistoric Nuragic rock towers, some with ancient ruins of villages and others with remnant tombs of the giants. You'll ride past the most famous and most intact of all the prehistoric stone fortresses in all of Sardinia, Su Nuraxi, located in the town of Barumini. Here you will be able to take a guided tour and walk inside the ruins, which has been designated a UNESCO World Heritage Site. You'll enjoy a light lunch in Barumini before visiting the town's museum. Next you'll enjoy a local wine tasting at the breathtaking Cantina Olianas, just in the neighboring town of Gergiei. After the tasting, you will be transferred to your accommodation in Guspini. This mansion, located in Gesturi, is ideal for 10 vacationers. It offers 5 bedrooms, a private pool, an enclosed garden and WiFi. The lounge is perfect for unwinding after a day of exploration. Curl up on the comfortable sofa and enjoy a good book in front of the fireplace or take advantage of the amenities on offer, including WiFi and a Hi-Fi. The kitchen is well-equipped for cooking up your favorite meals. Enjoy your feast around the dining table which seats 16 or outside, on the terrace, on the balcony or in the garden enjoying views of the swimming pool. The mansion has 5 comfortable bedrooms, 4 including a double bed and 1 including 2 single beds. Several bathrooms are available, 3 with a shower and a toilet. A separate toilet is available The mansion features a safe, a vacuum cleaner, cleaning products, ironing equipment, a dryer, air conditionning, a washing machine, central heating, a jacuzzi and a desk. Note that the cleaning, towels, bed linen and tourist tax are included in the rental fee. Parking is available onsite and is private. Smoking inside is not allowed. Pets are not allowed. Parties are not allowed. Bikes are at your disposal. Today you will take a break from the bike and enjoy some fantastic hiking on the Giara plateau. Experience the wild and natural forests full of cork oak, paulis and maquis shrubs and more. Be sure to keep an eye out for wild dwarf horses and other fauna, that are important to this precious ecosystem. Enjoy a picnic lunch on the plateau before descending past one of the last remaining Domus de Janas tombs. Accommodation in Pula. Nora Club Hotel & SPA is an elegant 4-Star hotel in Pula. Close to the beach and to the archaeological site of Nora, it is surrounded by the greens of a well-tended garden with a spacious pool, including a hydro-massage area. The shaded spots, the hall and lounge areas are ideal for a moment’s relaxation, to sip an aperitif, or to enjoy a delicious snack outdoors, whatever the time of day. The Hotel is completed by its new SPA with gym, Turkish bath, jacuzzi and fully equipped cubicles for massage and other body treatments; all dedicated to realize your vacation of wellness, or simply to recharge your battery over a weekend in winter. At the Nora Club Hotel & SPA you can also rent a bike, and book various excursions, for lovers of the sea, of fishing and diving, or horse-back tours along the coast, and visits to many sites and interesting places. An enchanting place, immersed in nature, sheltered from the chaos in nearby Cagliari, and close to the beaches and landscapes of Southern Sardinia. Today is a cyclist's dream. 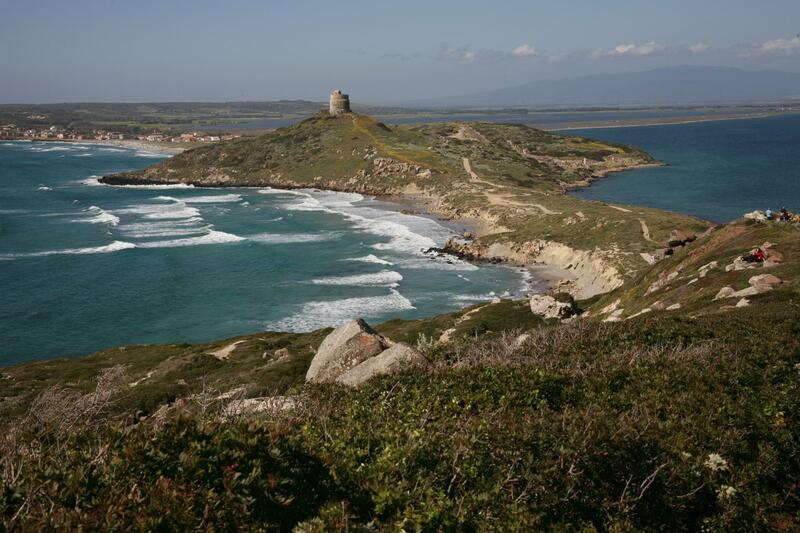 Enjoy an the unforgettable loop route of the southern Sardinian coast. You will ride through the small town of Domus de Maria before a short climb, followed by a breathtaking descent towards Teulada. You will be following small streams as they make their way to the sea. This is considered by many to be one of the most beautiful rides in all of Sardinia, and possibly in all of the Mediterranean. The coastline is composed of jagged rock formations with wind sculpted trees and shrubs, lined with impressive Spanish watch towers. On the way back into Pula, you will ride by numerous beaches and wetlands. Once you are in Pula, be sure to try some freshly-made gelato! Explore the wetlands and Mediterranean shorelines around Capo Malfatano by kayak. You will paddle into the many small coves of Piscinni and Tuerredda. A birdwatchers paradise, the caves on the shoreline are home to several diverse species of birds. You will also be able to view the Spanish watchtowers from the water, offering a new perspective of these ancient structures. These waters are normally calm and clear and you will likely be able to observe a lot of sea life from your vessel. After transferring back to Pula, you may want to visit the ruins of the Phoenician port city of Nora, an open air museum. Freshen up at your hotel before our farewell dinner at a local Agriturismo, where we will salute to each others friendships while enjoying local, traditional dishes and fine local Sardinian wine. Today concludes your Trail to Table exploration of Sardinia! We say farewell after breakfast and you depart for your transfer to Cagliari Airport. - one wine tasting, one olive oil tasting, one bottarga tasting. Rates are based on double or single occupancy with minimum group participation at 6 persons. - Arriving in Sardinia: Airport Arrival/Depart: Cagliari airport. We recommend arriving by plane via Rome or Florence or other gateway. There are ferries from Civitavecchia (Rome); Livorno (Tuscany), from Naples (Campania); from Genoa (Liguria) and from Marseille (france) that connect to different ports on the island as well. Other airports are Olbia and Alghero. From Cagliari, we include a private transfer to the tour start, or you can go on your own to take the train to the Abbasanta station, followed by a taxi to Santu Lussurgiu. From Olbia take the taxi or bus to the train station (the ride is about fifteen minutes). Take the train to Oristano. There are five trains per day, the ride takes two and a half hours and the cost is 12 euro. The tour ends in Pula: a private transfer to Cagliari airport is included (it will leave between 7 and 9 a.m.). - a guided tour with fixed departure dates, open to individuals to join on availability basis. - there is a 6 person minimum for participation, but departures can run with 4 and a small supplement per person. Level: Level 3 Moderate; terrain is rolling and distances while moderate are affected by altitude. Longer and shorter options exist. Moderate hiking and sea kayaking included. Dates: May 4th, June 15th, September 28th, October 12th , 2018. This is a guided tour. Groups of 6 or more can request custom dates. Best Time To Go: April - May, September - October. Mauro Mulas, TOUR LEADER. Native of Northern Italy (Milan) and studied the history of cinema and photography in Milan. After studying, he spent a long period in Mexico, where he learned to do very good Pizza and Italian dishes in an Italian restaurant. His enthusiasm for the outdoors includes horseback riding, and he has a riding instructor, but he loves ski touring and Dolomites as well. Mauro’s passion for cycling has him on a bike year-round, and he looks forward to cycling with you, is the guide, support vehicle driver, and bike mechanic! Robert Borsos, Tour Leader & Logistic Coordinator Sardinia Area. Born in Eger Hungary, is a US citizen who lives in Sardinia. He made a career in the U.S. Navy where his passion for cycling grew across continents and the seas. What more, it allowed him to meet and make long lasting friendships, as a common bond is quickly discovered in the saddle. Upon retirement from the Navy, he moved to Sardinia to pursue his outdoor passions both on and off road, in the saddle and on foot. He is also a support vehicle driver and a good mechanic. This is a new tour, part of our new guided foodie adventure collection for 2018! Check back for reviews later this year. Hybrid bike with disc brake Aluminum frame with carbon fork; Components Shimano Deore. 2×10. Hybrid bikes blend the characteristics of race bikes and mountain bikes. Hybrids typically have the flat, straight handlebars that provide a fairly upright sitting position and are designed to reduce shoulder and neck fatigue; a more upright position also provides more opportunities to view the beautiful countryside. 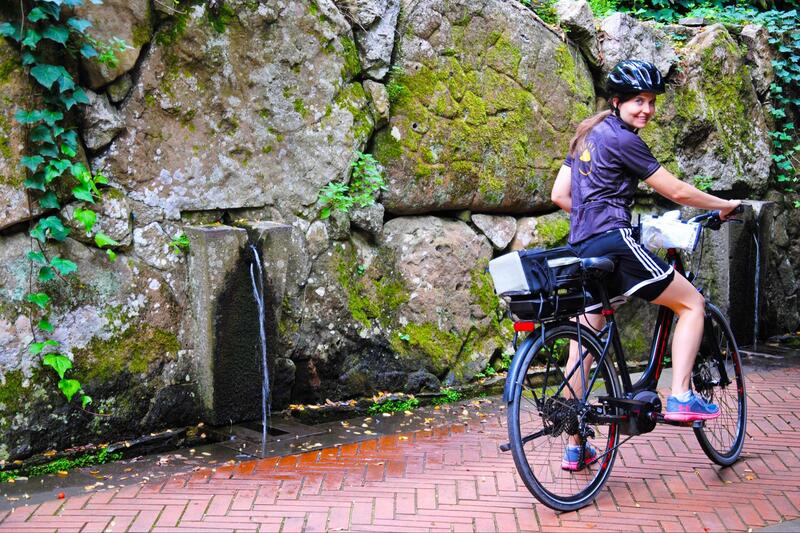 Hybrid bikes are lightweight, with road wheels and narrow road tires for low rolling resistance allowing for greater speed and less exertion when riding on paved roads.Hybrid bike rental included in trip price.